The seventh annual Maurice McMenamin memorial walk and run is set to attract competitors in record numbers this weekend. 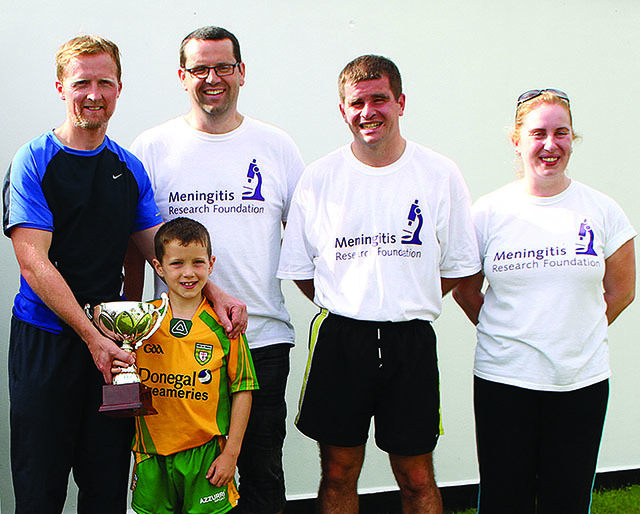 The popular event, in honour of the Muff youth whose death from meningitis shocked the community in 2001, has raised some €100,000 for various good causes through the years. One of those planning to cover the ten-kilometre distance this Sunday afternoon, Ciaran McMenamin said it is a great way to remember his brother. “The walk and run is our way of remembering Maurice, both as a community and as a family. I suppose it’s a nice way to keep him in everyone’s thoughts and also to raise money for very worthy causes,” he said. Organisers plan to split this year’s proceeds between two charities, Aoibheann’s Pink Tie, an organisation that provides financial assistance to parents of children with cancer, and Meningitis Research Ireland. Maurice was just 20-years-old and a student at LYIT when he died from meningitis. He had been home from college on a Friday evening when he first became ill with flu-like symptoms. He saw a doctor the following morning and was admitted to Letterkenny Hospital. However Maurice’s condition deteriorated rapidly and he died two days later on November 26, 2001. He left behind his devastated friends and family, including parents, Michael and Una, brothers, Ciaran and Paul, and sister, Fiona. Ciaran said the McMenamin family is proud that Maurice’s name is now associated with helping so many good causes, including the Donegal Hospice, Foyle Hospice, MS Ireland, St. Vincent de Paul and the Laura Lynn House.